Slow Cooker Pinto Beans and Ham! Simple, delicious Country Cookin. The weather is really crazy around here in North Texas. One day it's warm and one day it's chilly, and then the next day we're freezing are patooties off. I sure wish mother nature would make up her mind. All I can say is ONLY in TEXAS! We have another cold snap coming in so a big pot of Pinto Beans and Ham would hit the spot perfectly. A lot of people think pinto beans and cornbread is old school food, but I love it, nothing is better than a big bowl of pinto beans with a wedge of cornbread on the side. It just screams country cooking. Anytime I have a big ham bone, leftover ham or smoked ham hocks. Pinto beans and cornbread is the first meal that comes to mind. Beans are really good for you and it is a pretty cheap meal to boot. This recipe makes a large quantity so it's perfect for feeding a crowd. Darn that looks so good. 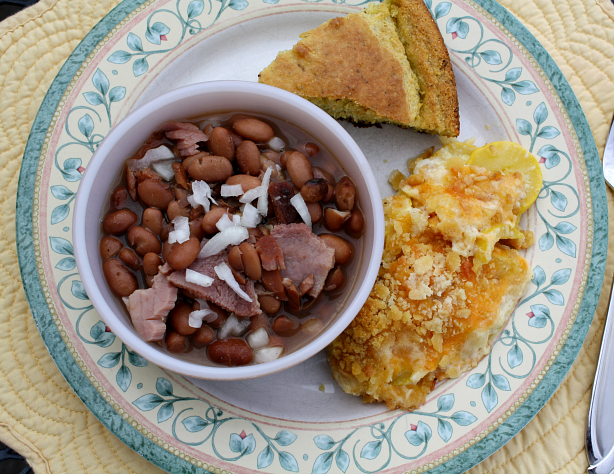 Break off the ham meat from your ham hock or ham bone and place back into the beans and serve with a wedge of homemade cornbread. I like my beans with a bit of fresh onion. That's optional but so good. Sort your beans and remove and broken pieces or pebbles. Place the beans in a large bowl or pot, covering with water. Add the baking soda to the water, and let the beans soak at least 6 hours or overnight. Drain the water from the beans and rinse. Add the beans to a 6 quart crock pot and cover with fresh water. You want the beans to be covered by at least one inch. Add the pinto bean seasoning, chicken bouillon, sugar, vegetable oil, pepper and onion. Add one of the following for additional seasoning, one ham hock, ham bone, or slice of country ham cut into pieces. Place lid on crock pot and cook on high for about 6-8 hours. make sure the beans stay covered with water, so check occasionally. If you need more water, then add it. Taste the beans after several hours of cooking and add more seasonings as needed. In 6 hours, test beans and if they are cooked. Remove ham bone and pull of the meat or remove meat from ham hock and serve. Don't forget to serve with a wedge of cornbread. This would be espeically good since today was so COLD. It looks delicious! Pinto beans and rice sounds sooooo good right now! I just love beans. This looks so tasty. When I go home I always make my momma make me fried chicken, fried potatoes, pinto beans and cornbread. Now thats my meal :) With a cold glass of sweet tea yum and omg blackberry cobbler thanks now I am hungry and home sick, lol..
Mmm! I'm trying to use more dried beans in our diet, and this looks really good. Thanks! Hi there neighbor. Another great recipe. I grew up on a diet of beans and rice, so my love for the pinto bean is a life long love affair. Great recipe my frind. 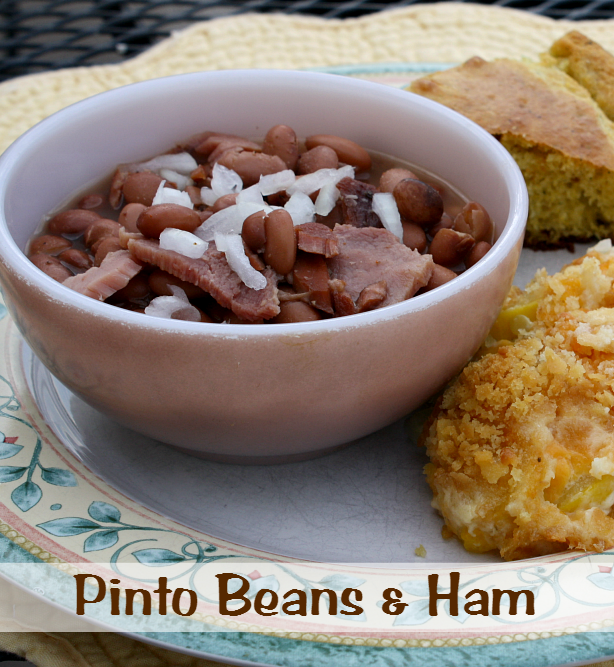 I love pintos and cornbread such an easy and economical meal. I just wish my sister would eat beans because I could eat them every week easily. That looks so good. I've got a ham bone in my freezer now waiting to turn into soup beans. Yum! I've nevere done it in the crockpot though. I may give it a try. This looks so yummy... perfect comfort food! I grew up eating pintos & cornbread. MMMmmm! In Austin, like Mesquite, it's cold one day & hot the next. Case in point: this morning my commute to work was in 34º temps. My evening commute starts soon and it's 78º. Texas weather=Texas politics. Yesterday I made a big crockpot of red beans with leftover ham scraps and andouille sausage. It was yummy too. Next week, pintos! Hi, this looks great! Do you know how many beans to use? Thanks! Hi sorry about that I fixed the recipe to reflect as well. I use one 16 oz package of pinto beans. This really is a yummy recipe. Hi there! This sounds like a great recipe and a great website as well..I'm a single mother of two daughters and we love to cook together, I can't wait to see what else is on here! My question is: I like more of a gravy consistency than a soup consistency, any ideas how I can make that happen? Thanks so much. but other than that... great! topped with sour cream, raw onions, hot sauce, with hot buttered cornbread on the side. thanks. This is a great recipe and is definitely a keeper! Thank you for posting!! This is my very favorite Mommy's Kitchen recipe! I shared it with co-workers too and everybody just loved it. The only thing that I will change next time is to not add so much pepper. It was definitely over-spiced for my taste. I've been hunting for the recipe for my Grandma's Pinto Beans and Ham and this recipe looks like it's spot on! I can't wait to make it tomorrow! Hi, Thanks for posting this recipe. I've been looking for a recipe simular to my Grandma's "pork 'n' beans" and this one looks like it's spot on! I can't wait to make it tomorrow! Hello, stumbled across the website looking for crock pot pinto beans. You mentioned using baking soda during the soak.. how much do you put in? Thanks! 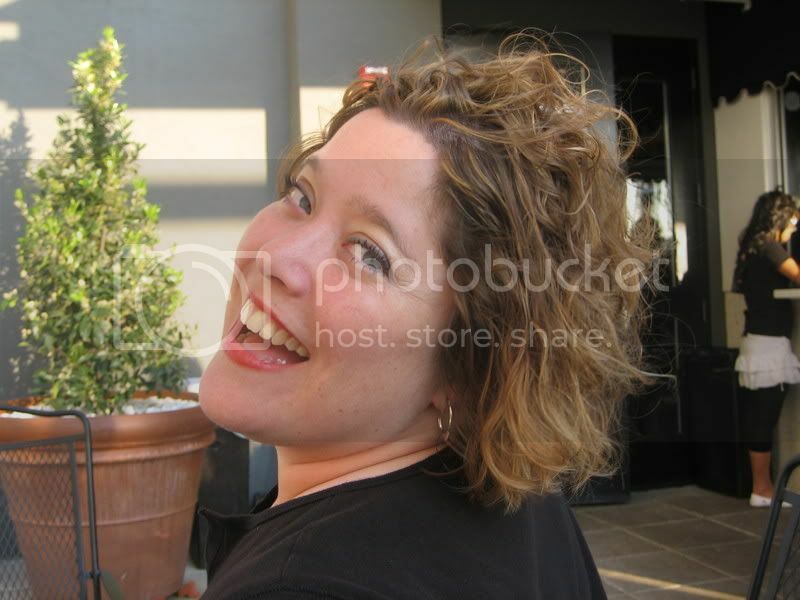 Hi Sandra I just usually do a couple shakes of the baking soda. If I were to measure I would say about 2 tablespoons. It will be rinsed off before you add them to the crockpot so dont worry about the baking soda staying in the water. Welcome to Mommy's Kitchen. This is one of my favorate recipes, thank you! Mine always turn out really watery, so today i wisked in about a cup of corn startch and let heat for about another 20 mins. it turned out nice and thick. i also added fresh garlic and garlic salt... yum! I tried this recipe yesterday and it made the BEST batch of pinto beans and ham I've ever made. Thanks! This recipe looks great! We're from Tennessee and my Momma always cooked hers in a crock pot and it'd smell so wonderful when we got home for Sunday lunch. We always use Great Northern Beans, though, and when they're soft they're always thick and delicious. I'd like to try pintos though and see if the flavor's different. I never heard of adding any oil though, what does that do for the recipe? Made these for the second time tonight. Insanely delicious! I will not be sharing this one...I am keeping it as my own little secret! Where do you purchase the spice mix?? If you look at the ingredient list I linked the Fiest Pinto Bean Seasoning. I get mine at Walmart. Crock pot pinto beans are great but nothing beats slow cooking on the stove top to get that thick soup along with it. If I could do that with the crock pot, I'd be a happy man! Instead of adding baking soda to your beans, you can also fight the gas problem by adding a strip of kombu to the pan when you cook the beans. It also adds a lovely savoury flavour to the bean dish. Kombu is a Japanese sea vegetable, which you can buy dried. You only need one piece of it to a big pan of beans, so it is quite economical to use.